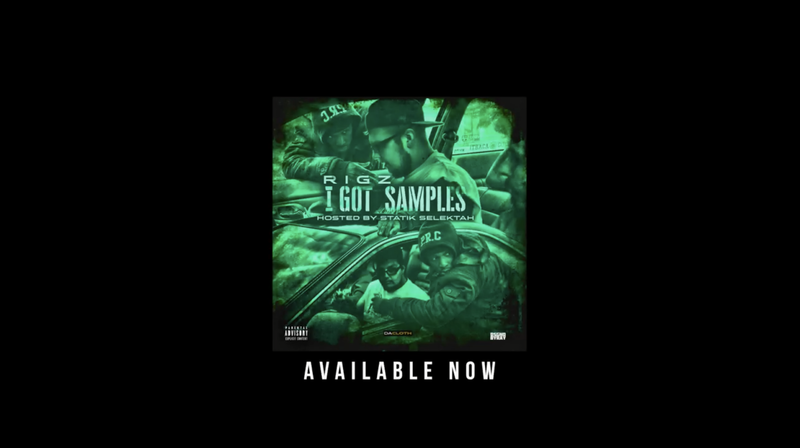 Rigz Drops Visual to Single "Action" ft Sheek Louch off of his Project "I Got Samples" Hosted by Statik Selektah Fresh off of Tour with Legendary Rap Trio "The Lox", Rap Newcomer Rigz is hitting the ground running and is not slowing up by any means necessary. After releasing his song "What Hustlas Do" ft Griselda Records Artist Benny, Rigz returns on the scene and this time The Rochester Native recruits Hip Hop Veteran Sheek Louch. The song has a classical hip hop feel to it over the triumphant beat and Rigz leave fans definitely satisfied and wanting more. This song can be found on his Newly Released Project "I Got Samples" Hosted by Statik Selektah. Rigz is sure to soon be a household name and definitely one to pay attention to for the new year.